Anxiety is a natural part of life and, at normal levels, helps us to function at our best. However, for people with anxiety disorders, anxiety is overwhelming and hard to control. Anxiety disorders develop out of a blend of biological (genetic) and psychological factors that, when combined with stress, may lead to the development of ailments. Primary anxiety-related diagnoses include generalized anxiety disorder, panic disorder, specific phobia, social anxiety disorder (social phobia), post traumatic stress disorder, and obsessive-compulsive disorder. In this module, we summarize the main clinical features of each of these disorders and discuss their similarities and differences with everyday experiences of anxiety. Understand the relationship between anxiety and anxiety disorders. Identify key vulnerabilities for developing anxiety and related disorders. Identify main diagnostic features of specific anxiety-related disorders. Differentiate between disordered and non-disordered functioning. What is anxiety? Most of us feel some anxiety almost every day of our lives. Maybe you have an important test coming up for school. Or maybe there’s that big game next Saturday, or that first date with someone new you are hoping to impress. Anxiety can be defined as a negative mood state that is accompanied by bodily symptoms such as increased heart rate, muscle tension, a sense of unease, and apprehension about the future (APA, 2013; Barlow, 2002). Anxiety is what motivates us to plan for the future, and in this sense, anxiety is actually a good thing. It’s that nagging feeling that motivates us to study for that test, practice harder for that game, or be at our very best on that date. But some people experience anxiety so intensely that it is no longer helpful or useful. They may become so overwhelmed and distracted by anxiety that they actually fail their test, fumble the ball, or spend the whole date fidgeting and avoiding eye contact. If anxiety begins to interfere in the person’s life in a significant way, it is considered a disorder. Anxiety and closely related disorders emerge from “triple vulnerabilities,”a combination of biological, psychological, and specific factors that increase our risk for developing a disorder (Barlow, 2002; Suárez, Bennett, Goldstein, & Barlow, 2009). Biological vulnerabilities refer to specific genetic and neurobiological factors that might predispose someone to develop anxiety disorders. No single gene directly causes anxiety or panic, but our genes may make us more susceptible to anxiety and influence how our brains react to stress (Drabant et al., 2012; Gelernter & Stein, 2009; Smoller, Block, & Young, 2009). Psychological vulnerabilities refer to the influences that our early experiences have on how we view the world. If we were confronted with unpredictable stressors or traumatic experiences at younger ages, we may come to view the world as unpredictable and uncontrollable, even dangerous (Chorpita & Barlow, 1998; Gunnar & Fisher, 2006). Specific vulnerabilities refer to how our experiences lead us to focus and channel our anxiety (Suárez et al., 2009). If we learned that physical illness is dangerous, maybe through witnessing our family’s reaction whenever anyone got sick, we may focus our anxiety on physical sensations. If we learned that disapproval from others has negative, even dangerous consequences, such as being yelled at or severely punished for even the slightest offense, we might focus our anxiety on social evaluation. If we learn that the “other shoe might drop” at any moment, we may focus our anxiety on worries about the future. None of these vulnerabilities directly causes anxiety disorders on its own—instead, when all of these vulnerabilities are present, and we experience some triggering life stress, an anxiety disorder may be the result (Barlow, 2002; Suárez et al., 2009). In the next sections, we will briefly explore each of the major anxiety based disorders, found in the fifth edition of the Diagnostic and Statistical Manual of Mental Disorders (DSM-5) (APA, 2013). Most of us worry some of the time, and this worry can actually be useful in helping us to plan for the future or make sure we remember to do something important. Most of us can set aside our worries when we need to focus on other things or stop worrying altogether whenever a problem has passed. However, for someone with generalized anxiety disorder (GAD), these worries become difficult, or even impossible, to turn off. They may find themselves worrying excessively about a number of different things, both minor and catastrophic. Their worries also come with a host of other symptoms such as muscle tension, fatigue, agitation or restlessness, irritability, difficulties with sleep (either falling asleep, staying asleep, or both), or difficulty concentrating.The DSM-5 criteria specify that at least six months of excessive anxiety and worry of this type must be ongoing, happening more days than not for a good proportion of the day, to receive a diagnosis of GAD. About 5.7% of the population has met criteria for GAD at some point during their lifetime (Kessler, Berglund, et al., 2005), making it one of the most common anxiety disorders (see Table 1). Table 1: Prevalence rates for major anxiety disorders. Kessler et al. (2005), Kessler, Chiu, Demler, Merikangas, & Walters (2005), Kessler, Sonnega, Bromet, Hughes, & Nelson (1995), Craske et al. (1996). What makes a person with GAD worry more than the average person? Research shows that individuals with GAD are more sensitive and vigilant toward possible threats than people who are not anxious (Aikins & Craske, 2001; Barlow, 2002; Bradley, Mogg, White, Groom, & de Bono, 1999). This may be related to early stressful experiences, which can lead to a view of the world as an unpredictable, uncontrollable, and even dangerous place. Some have suggested that people with GAD worry as a way to gain some control over these otherwise uncontrollable or unpredictable experiences and against uncertain outcomes (Dugas, Gagnon, Ladouceur, & Freeston, 1998). By repeatedly going through all of the possible “What if?” scenarios in their mind, the person might feel like they are less vulnerable to an unexpected outcome, giving them the sense that they have some control over the situation (Wells, 2002). Others have suggested people with GAD worry as a way to avoid feeling distressed (Borkovec, Alcaine, & Behar, 2004). For example, Borkovec and Hu (1990) found that those who worried when confronted with a stressful situation had less physiological arousal than those who didn’t worry, maybe because the worry “distracted” them in some way. The problem is, all of this “what if?”-ing doesn’t get the person any closer to a solution or an answer and, in fact, might take them away from important things they should be paying attention to in the moment, such as finishing an important project. Many of the catastrophic outcomes people with GAD worry about are very unlikely to happen, so when the catastrophic event doesn’t materialize, the act of worrying gets reinforced (Borkovec, Hazlett-Stevens, & Diaz, 1999). For example, if a mother spends all night worrying about whether her teenage daughter will get home safe from a night out and the daughter returns home without incident, the mother could easily attribute her daughter’s safe return to her successful “vigil.” What the mother hasn’t learned is that her daughter would have returned home just as safe if she had been focusing on the movie she was watching with her husband, rather than being preoccupied with worries. In this way, the cycle of worry is perpetuated, and, subsequently, people with GAD often miss out on many otherwise enjoyable events in their lives. Have you ever gotten into a near-accident or been taken by surprise in some way? You may have felt a flood of physical sensations, such as a racing heart, shortness of breath, or tingling sensations. This alarm reaction is called the “fight or flight” response (Cannon, 1929) and is your body’s natural reaction to fear, preparing you to either fight or escape in response to threat or danger. It’s likely you weren’t too concerned with these sensations, because you knew what was causing them. But imagine if this alarm reaction came “out of the blue,” for no apparent reason, or in a situation in which you didn’t expect to be anxious or fearful. This is called an “unexpected” panic attack or a false alarm. Because there is no apparent reason or cue for the alarm reaction, you might react to the sensations with intense fear, maybe thinking you are having a heart attack, or going crazy, or even dying. You might begin to associate the physical sensations you felt during this attack with this fear and may start to go out of your way to avoid having those sensations again. Unexpected panic attacks such as these are at the heart of panic disorder (PD). However, to receive a diagnosis of PD, the person must not only have unexpected panic attacks but also must experience continued intense anxiety and avoidance related to the attack for at least one month, causing significant distress or interference in their lives. People with panic disorder tend to interpret even normal physical sensations in a catastrophic way, which triggers more anxiety and, ironically, more physical sensations, creating a vicious cycle of panic (Clark, 1986, 1996). The person may begin to avoid a number of situations or activities that produce the same physiological arousal that was present during the beginnings of a panic attack. For example, someone who experienced a racing heart during a panic attack might avoid exercise or caffeine. Someone who experienced choking sensations might avoid wearing high-necked sweaters or necklaces. Avoidance of these internal bodily or somatic cues for panic has been termed interoceptive avoidance (Barlow & Craske, 2007; Brown, White, & Barlow, 2005; Craske & Barlow, 2008; Shear et al., 1997). The individual may also have experienced an overwhelming urge to escape during the unexpected panic attack. This can lead to a sense that certain places or situations—particularly situations where escape might not be possible—are not “safe.” These situations become external cues for panic. If the person begins to avoid several places or situations, or still endures these situations but does so with a significant amount of apprehension and anxiety, then the person also has agoraphobia (Barlow, 2002; Craske & Barlow, 1988; Craske & Barlow, 2008). Agoraphobia can cause significant disruption to a person’s life, causing them to go out of their way to avoid situations, such as adding hours to a commute to avoid taking the train or only ordering take-out to avoid having to enter a grocery store. In one tragic case seen by our clinic, a woman suffering from agoraphobia had not left her apartment for 20 years and had spent the past 10 years confined to one small area of her apartment, away from the view of the outside. In some cases, agoraphobia develops in the absence of panic attacks and therefor is a separate disorder in DSM-5. But agoraphobia often accompanies panic disorder. About 4.7% of the population has met criteria for PD or agoraphobia over their lifetime (Kessler, Chiu, Demler, Merikangas, & Walters, 2005; Kessler et al., 2006) (see Table 1). In all of these cases of panic disorder, what was once an adaptive natural alarm reaction now becomes a learned, and much feared, false alarm. The majority of us might have certain things we fear, such as bees, or needles, or heights (Myers et al., 1984). But what if this fear is so consuming that you can’t go out on a summer’s day, or get vaccines needed to go on a special trip, or visit your doctor in her new office on the 26th floor? To meet criteria for a diagnosis of specific phobia, there must be an irrational fear of a specific object or situation that substantially interferes with the person’s ability to function. For example, a patient at our clinic turned down a prestigious and coveted artist residency because it required spending time near a wooded area, bound to have insects. Another patient purposely left her house two hours early each morning so she could walk past her neighbor’s fenced yard before they let their dog out in the morning. The list of possible phobias is staggering, but four major subtypes of specific phobia are recognized: blood-injury-injection (BII) type, situational type (such as planes, elevators, or enclosed places), natural environment type for events one may encounter in nature (for example, heights, storms, and water), and animal type. A fifth category “other” includes phobias that do not fit any of the four major subtypes (for example, fears of choking, vomiting, or contracting an illness). Most phobic reactions cause a surge of activity in the sympathetic nervous system and increased heart rate and blood pressure, maybe even a panic attack. However, people with BII type phobias usually experience a marked drop in heart rate and blood pressure and may even faint. In this way, those with BII phobias almost always differ in their physiological reaction from people with other types of phobia (Barlow & Liebowitz, 1995; Craske, Antony, & Barlow, 2006; Hofmann, Alpers, & Pauli, 2009; Ost, 1992). BII phobia also runs in families more strongly than any phobic disorder we know (Antony & Barlow, 2002; Page & Martin, 1998). Specific phobia is one of the most common psychological disorders in the United States, with 12.5% of the population reporting a lifetime history of fears significant enough to be considered a “phobia” (Arrindell et al., 2003; Kessler, Berglund, et al., 2005) (see Table 1). Most people who suffer from specific phobia tend to have multiple phobias of several types (Hofmann, Lehman, & Barlow, 1997). Many people consider themselves shy, and most people find social evaluation uncomfortable at best, or giving a speech somewhat mortifying. Yet, only a small proportion of the population fear these types of situations significantly enough to merit a diagnosis of social anxiety disorder (SAD) (APA, 2013). SAD is more than exaggerated shyness (Bogels et al., 2010; Schneier et al., 1996). To receive a diagnosis of SAD, the fear and anxiety associated with social situations must be so strong that the person avoids them entirely, or if avoidance is not possible, the person endures them with a great deal of distress. Further, the fear and avoidance of social situations must get in the way of the person’s daily life, or seriously limit their academic or occupational functioning. For example, a patient at our clinic compromised her perfect 4.0 grade point average because she could not complete a required oral presentation in one of her classes, causing her to fail the course. Fears of negative evaluation might make someone repeatedly turn down invitations to social events or avoid having conversations with people, leading to greater and greater isolation. The specific social situations that trigger anxiety and fear range from one-on-one interactions, such as starting or maintaining a conversation; to performance-based situations, such as giving a speech or performing on stage; to assertiveness, such as asking someone to change disruptive or undesirable behaviors. Fear of social evaluation might even extend to such things as using public restrooms, eating in a restaurant, filling out forms in a public place, or even reading on a train. Any type of situation that could potentially draw attention to the person can become a feared social situation. For example, one patient of ours went out of her way to avoid any situation in which she might have to use a public restroom for fear that someone would hear her in the bathroom stall and think she was disgusting. If the fear is limited to performance-based situations, such as public speaking, a diagnosis of SAD performance only is assigned. What causes someone to fear social situations to such a large extent? The person may have learned growing up that social evaluation in particular can be dangerous, creating a specific psychological vulnerability to develop social anxiety (Bruch & Heimberg, 1994; Lieb et al., 2000; Rapee & Melville, 1997). For example, the person’s caregivers may have harshly criticized and punished them for even the smallest mistake, maybe even punishing them physically. Or, someone might have experienced a social trauma that had lasting effects, such as being bullied or humiliated. Interestingly, one group of researchers found that 92% of adults in their study sample with social phobia experienced severe teasing and bullying in childhood, compared with only 35% to 50% among people with other anxiety disorders (McCabe, Antony, Summerfeldt, Liss, & Swinson, 2003). Someone else might react so strongly to the anxiety provoked by a social situation that they have an unexpected panic attack. This panic attack then becomes associated (conditioned response) with the social situation, causing the person to fear they will panic the next time they are in that situation. This is not considered PD, however, because the person’s fear is more focused on social evaluation than having unexpected panic attacks, and the fear of having an attack is limited to social situations. As many as 12.1% of the general population suffer from social phobia at some point in their lives (Kessler, Berglund, et al., 2005), making it one of the most common anxiety disorders, second only to specific phobia (see Table 1). With stories of war, natural disasters, and physical and sexual assault dominating the news, it is clear that trauma is a reality for many people. Many individual traumas that occur every day never even make the headlines, such as a car accident, domestic abuse, or the death of a loved one. Yet, while many people face traumatic events, not everyone who faces a trauma develops a disorder. Some, with the help of family and friends, are able to recover and continue on with their lives (Friedman, 2009). For some, however, the months and years following a trauma are filled with intrusive reminders of the event, a sense of intense fear that another traumatic event might occur, or a sense of isolation and emotional numbing. They may engage in a host of behaviors intended to protect themselves from being vulnerable or unsafe, such as constantly scanning their surroundings to look for signs of potential danger, never sitting with their back to the door, or never allowing themselves to be anywhere alone. This lasting reaction to trauma is what characterizes posttraumatic stress disorder (PTSD). A diagnosis of PTSD begins with the traumatic event itself. An individual must have been exposed to an event that involves actual or threatened death, serious injury, or sexual violence. To receive a diagnosis of PTSD, exposure to the event must include either directly experiencing the event, witnessing the event happening to someone else, learning that the event occurred to a close relative or friend, or having repeated or extreme exposure to details of the event (such as in the case of first responders). The person subsequently re-experiences the event through both intrusive memories and nightmares. Some memories may come back so vividly that the person feels like they are experiencing the event all over again, what is known as having a flashback. The individual may avoid anything that reminds them of the trauma, including conversations, places, or even specific types of people. They may feel emotionally numb or restricted in their ability to feel, which may interfere in their interpersonal relationships. The person may not be able to remember certain aspects of what happened during the event. They may feel a sense of a foreshortened future, that they will never marry, have a family, or live a long, full life. They may be jumpy or easily startled, hypervigilant to their surroundings, and quick to anger. The prevalence of PTSD among the population as a whole is relatively low, with 6.8% having experienced PTSD at some point in their life (Kessler, Berglund, et al., 2005) (see Table 1). Combat and sexual assault are the most common precipitating traumas (Kessler, Sonnega, Bromet, Hughes, & Nelson, 1995). Whereas PTSD was previously categorized as an Anxiety Disorder, in the most recent version of the DSM (DSM-5; APA, 2013) it has been reclassified under the more specific category of Trauma- and Stressor-Related Disorders. A person with PTSD is particularly sensitive to both internal and external cues that serve as reminders of their traumatic experience. For example, as we saw in PD, the physical sensations of arousal present during the initial trauma can become threatening in and of themselves, becoming a powerful reminder of the event. Someone might avoid watching intense or emotional movies in order to prevent the experience of emotional arousal. Avoidance of conversations, reminders, or even of the experience of emotion itself may also be an attempt to avoid triggering internal cues. External stimuli that were present during the trauma can also become strong triggers. For example, if a woman is raped by a man wearing a red t-shirt, she may develop a strong alarm reaction to the sight of red shirts, or perhaps even more indiscriminately to anything with a similar color red. A combat veteran who experienced a strong smell of gasoline during a roadside bomb attack may have an intense alarm reaction when pumping gas back at home. Individuals with a psychological vulnerability toward viewing the world as uncontrollable and unpredictable may particularly struggle with the possibility of additional future, unpredictable traumatic events, fueling their need for hypervigilance and avoidance, and perpetuating the symptoms of PTSD. To receive a diagnosis of OCD, a person must experience obsessive thoughts and/or compulsions that seem irrational or nonsensical, but that keep coming into their mind. Some examples of obsessions include doubting thoughts (such as doubting a door is locked or an appliance is turned off), thoughts of contamination (such as thinking that touching almost anything might give you cancer), or aggressive thoughts or images that are unprovoked or nonsensical. Compulsions may be carried out in an attempt to neutralize some of these thoughts, providing temporary relief from the anxiety the obsessions cause, or they may be nonsensical in and of themselves. Either way, compulsions are distinct in that they must be repetitive or excessive, the person feels “driven” to carry out the behavior, and the person feels a great deal of distress if they can’t engage in the behavior. Some examples of compulsive behaviors are repetitive washing (often in response to contamination obsessions), repetitive checking (locks, door handles, appliances often in response to doubting obsessions), ordering and arranging things to ensure symmetry, or doing things according to a specific ritual or sequence (such as getting dressed or ready for bed in a specific order). To meet diagnostic criteria for OCD, engaging in obsessions and/or compulsions must take up a significant amount of the person’s time, at least an hour per day, and must cause significant distress or impairment in functioning. About 1.6% of the population has met criteria for OCD over the course of a lifetime (Kessler, Berglund, et al., 2005) (see Table 1). Whereas OCD was previously categorized as an Anxiety Disorder, in the most recent version of the DSM (DSM-5; APA, 2013) it has been reclassified under the more specific category of Obsessive-Compulsive and Related Disorders. People with OCD often confuse having an intrusive thought with their potential for carrying out the thought. Whereas most people when they have a strange or frightening thought are able to let it go, a person with OCD may become “stuck” on the thought and be intensely afraid that they might somehow lose control and act on it. Or worse, they believe that having the thought is just as bad as doing it. This is called thought-action fusion. For example, one patient of ours was plagued by thoughts that she would cause harm to her young daughter. She experienced intrusive images of throwing hot coffee in her daughter’s face or pushing her face underwater when she was giving her a bath. These images were so terrifying to the patient that she would no longer allow herself any physical contact with her daughter and would leave her daughter in the care of a babysitter if her husband or another family was not available to “supervise” her. In reality, the last thing she wanted to do was harm her daughter, and she had no intention or desire to act on the aggressive thoughts and images, nor does anybody with OCD act on these thoughts, but these thoughts were so horrifying to her that she made every attempt to prevent herself from the potential of carrying them out, even if it meant not being able to hold, cradle, or cuddle her daughter. These are the types of struggles people with OCD face every day. Many successful treatments for anxiety and related disorders have been developed over the years. Medications (anti-anxiety drugs and antidepressants) have been found to be beneficial for disorders other than specific phobia, but relapse rates are high once medications are stopped (Heimberg et al., 1998; Hollon et al., 2005), and some classes of medications (minor tranquilizers or benzodiazepines) can be habit forming. Exposure-based cognitive behavioral therapies (CBT) are effective psychosocial treatments for anxiety disorders, and many show greater treatment effects than medication in the long term (Barlow, Allen, & Basden, 2007; Barlow, Gorman, Shear, & Woods, 2000). In CBT, patients are taught skills to help identify and change problematic thought processes, beliefs, and behaviors that tend to worsen symptoms of anxiety, and practice applying these skills to real-life situations through exposure exercises. Patients learn how the automatic “appraisals” or thoughts they have about a situation affect both how they feel and how they behave. Similarly, patients learn how engaging in certain behaviors, such as avoiding situations, tends to strengthen the belief that the situation is something to be feared. A key aspect of CBT is exposure exercises, in which the patient learns to gradually approach situations they find fearful or distressing, in order to challenge their beliefs and learn new, less fearful associations about these situations. Typically 50% to 80% of patients receiving drugs or CBT will show a good initial response, with the effect of CBT more durable. Newer developments in the treatment of anxiety disorders are focusing on novel interventions, such as the use of certain medications to enhance learning during CBT (Otto et al., 2010), and transdiagnostic treatments targeting core, underlying vulnerabilities (Barlow et al., 2011). As we advance our understanding of anxiety and related disorders, so too will our treatments advance, with the hopes that for the many people suffering from these disorders, anxiety can once again become something useful and adaptive, rather than something debilitating. Kessler, Chiu, Demler, Merikangas, & Walters (2005). Kessler, Sonnega, Bromet, Hughes, & Nelson (1995). Name and describe the three main vulnerabilities contributing to the development of anxiety and related disorders. Do you think these disorders could develop out of biological factors alone? Could these disorders develop out of learning experiences alone? Many of the symptoms in anxiety and related disorders overlap with experiences most people have. What features differentiate someone with a disorder versus someone without? Many people are shy. What differentiates someone who is shy from someone with social anxiety disorder? Do you think shyness should be considered an anxiety disorder? Is anxiety ever helpful? What about worry? A sort of anxiety disorder distinguished by feelings that a place is uncomfortable or may be unsafe because it is significantly open or crowded. A mood state characterized by negative affect, muscle tension, and physical arousal in which a person apprehensively anticipates future danger or misfortune. A specific genetic and neurobiological factor that might predispose someone to develop anxiety disorders. A learned reaction following classical conditioning, or the process by which an event that automatically elicits a response is repeatedly paired with another neutral stimulus (conditioned stimulus), resulting in the ability of the neutral stimulus to elicit the same response on its own. Stimuli in the outside world that serve as triggers for anxiety or as reminders of past traumatic events. A biological reaction to alarming stressors that prepares the body to resist or escape a threat. Sudden, intense re-experiencing of a previous event, usually trauma-related. Excessive worry about everyday things that is at a level that is out of proportion to the specific causes of worry. Physical sensations that serve as triggers for anxiety or as reminders of past traumatic events. Avoidance of situations or activities that produce sensations of physical arousal similar to those occurring during a panic attack or intense fear response. A disorder characterized by the desire to engage in certain behaviors excessively or compulsively in hopes of reducing anxiety. Behaviors include things such as cleaning, repeatedly opening and closing doors, hoarding, and obsessing over certain thoughts. A condition marked by regular strong panic attacks, and which may include significant levels of worry about future attacks. A sense of intense fear, triggered by memories of a past traumatic event, that another traumatic event might occur. PTSD may include feelings of isolation and emotional numbing. Influences that our early experiences have on how we view the world. Following the process of operant conditioning, the strengthening of a response following either the delivery of a desired consequence (positive reinforcement) or escape from an aversive consequence. Social anxiety disorder which is limited to certain situations that the sufferer perceives as requiring some type of performance. A condition marked by acute fear of social situations which lead to worry and diminished day to day functioning. How our experiences lead us to focus and channel our anxiety. The tendency to overestimate the relationship between a thought and an action, such that one mistakenly believes a “bad” thought is the equivalent of a “bad” action. APA. (2013). Diagnostic and statistical manual of mental disorders (5th ed.). Washington, D.C.: American Psychiatric Association. Aikins, D. E., & Craske, M. G. (2001). Cognitive theories of generalized anxiety disorder. Psychiatric Clinics of North America, 24(1), 57-74, vi. Antony, M. M., & Barlow, D. H. (2002). Specific phobias. In D. H. Barlow (Ed. ), Anxiety and its disorders: The nature and treatment of anxiety and panic (2nd ed.). New York, NY: Guilford Press. Arrindell, W. A., Eisemann, M., Richter, J., Oei, T. P., Caballo, V. E., van der Ende, J., . . . Cultural Clinical Psychology Study, Group. (2003). Phobic anxiety in 11 nations. Part I: Dimensional constancy of the five-factor model. Behaviour Research and Therapy, 41(4), 461-479. Barlow, D. H., & Craske, M. G. (2007). Mastery of your anxiety and panic (4th ed.). New York, NY: Oxford University Press. Barlow, D. H., & Liebowitz, M. R. (1995). Specific and social phobias. In H. I. Kaplan & B. J. Sadock (Eds. ), Comprehensive textbook of psychiatry: VI (pp. 1204-1217). Baltimore, MD: Williams & Wilkins. Barlow, D. H., Allen, L.B., & Basden, S. (2007). Pscyhological treatments for panic disorders, phobias, and generalized anxiety disorder. In P.E. Nathan & J.M. Gorman (Eds. ), A guide to treatments that work (3rd ed.). New York, NY: Oxford University Press. Barlow, D. H., Ellard, K. K., Fairholme, C. P., Farchione, T. J., Boisseau, C. L., Allen, L. B., & Ehrenreich-May, J. (2011). Unified Protocol for the Transdiagnostic Treatment of Emotional Disorders (Workbook). New York, NY: Oxford University Press. Barlow, D. H., Gorman, J. M., Shear, M. K., & Woods, S. W. (2000). Cognitive-behavioral therapy, imipramine, or their combination for panic disorder: A randomized controlled trial. Journal of the American Medical Association, 283(19), 2529-2536. Borkovec, T. D., & Hu, S. (1990). The effect of worry on cardiovascular response to phobic imagery. Behaviour Research and Therapy, 28(1), 69-73. Borkovec, T. D., Alcaine, O.M., & Behar, E. (2004). Avoidance theory of worry and generalized anxiety disorder. In R.G. Heimberg, Turk C.L. & D.S. Mennin (Eds. ), Generalized Anxiety Disorder: Advances in research and practice (pp. 77-108). New York, NY: Guilford Press. Borkovec, T. D., Hazlett-Stevens, H., & Diaz, M.L. (1999). The role of positive beliefs about worry in generalized anxiety disorder and its treatment. Clinical Psychology and Pscyhotherapy, 6, 69-73. Boyer, P., & Liénard, P. (2008). Ritual behavior in obsessive and normal individuals: Moderating anxiety and reorganizing the flow of action. Current Directions in Psychological Science, 17(4), 291-294. Bradley, B. P., Mogg, K., White, J., Groom, C., & de Bono, J. (1999). Attentional bias for emotional faces in generalized anxiety disorder. British Journal of Clinical Psychology, 38 ( Pt 3), 267-278. Brown, T.A., White, K.S., & Barlow, D.H. (2005). A psychometric reanalysis of the Albany Panic and Phobia Questionnaire. Behaviour Research and Therapy, 43, 337-355. Bruch, M. A., & Heimberg, R. G. (1994). Differences in perceptions of parental and personal characteristics between generalized and non-generalized social phobics. Journal of Anxiety Disorders, 8, 155-168. Cannon, W.B. (1929). Bodily changes in pain, hunger, fear and rage. Oxford, UK: Appleton. Chorpita, B. F., & Barlow, D. H. (1998). The development of anxiety: the role of control in the early environment. Psychological Bulletin, 124(1), 3-21. Clark, D. M. (1996). Panic disorder: From theory to therapy. In P. Salkovskis (Ed. ), Fronteirs of cognitive therapy(pp. 318-344). New York, NY: Guilford Press. Clark, D. M. (1986). A cognitive approach to panic. Behaviour Research and Therapy, 24(4), 461-470. Craske, M. G., & Barlow, D. H. (1988). A review of the relationship between panic and avoidance. Clinical Pscyhology Review, 8, 667-685. Craske, M. G., & Barlow, D.H. (2008). Panic disorder and agoraphobia. New York, NY: Guilford Press. Craske, M. G., Antony, M. M., & Barlow, D. H. (2006). Mastering your fears and phobias: Therapist guide. New York, NY: Oxford University Press. Friedman, M. J. (2009). Phenomenology of postraumatic stress disorder and acute stress disorder. In M. M. Anthony & M. B. Stein (Eds. ), Oxford Handbook of Anxiety and Related Disorders. New York, NY: Oxford University Press. Gelernter, J., & Stein, M. B. (2009). Heritability and genetics of anxiety disorders. In M.M. Antony & M.B. Stein (Eds. ), Oxford handbook of anxiety and related disorders. New York, NY: Oxford University Press. Gunnar, M. R., & Fisher, P. A. (2006). Bringing basic research on early experience and stress neurobiology to bear on preventive interventions for neglected and maltreated children. Developmental Psychopathology, 18(3), 651-677. Heimberg, R. G., Liebowitz, M. R., Hope, D. A., Schneier, F. R., Holt, C. S., Welkowitz, L. A., . . . Klein, D. F. (1998). Cognitive behavioral group therapy vs phenelzine therapy for social phobia: 12-week outcome. Archives of General Psychiatry, 55(12), 1133-1141. Hofmann, S. G., Alpers, G. W., & Pauli, P. (2009). Phenomenology of panic and phobic disorders. In M. M. Antony & M. B. Stein (Eds. ), Oxford handbook of anxiety and related disorders (pp. 34-46). New York, NY: Oxford University Press. Hofmann, S. G., Lehman, C. L., & Barlow, D. H. (1997). How specific are specific phobias? Journal of Behavior Therapy and Experimental Psychiatry, 28(3), 233-240. Lieb, R., Wittchen, H. U., Hofler, M., Fuetsch, M., Stein, M. B., & Merikangas, K. R. (2000). Parental psychopathology, parenting styles, and the risk of social phobia in offspring: a prospective-longitudinal community study. Archives of General Psychiatry, 57(9), 859-866. Myers, J. K., Weissman, M. M., Tischler, C. E., Holzer, C. E., Orvaschel, H., Anthony, J. C., . . . Stoltzman, R. (1984). Six-month prevalence of psychiatric disorders in three communities. Archives of General Psychiatry, 41, 959-967. Ost, L. G. (1992). Blood and injection phobia: background and cognitive, physiological, and behavioral variables. Journal of Abnormal Psychology, 101(1), 68-74. Page, A. C., & Martin, N. G. (1998). Testing a genetic structure of blood-injury-injection fears. American Journal of Medical Genetics, 81(5), 377-384. Rapee, R. M., & Melville, L. F. (1997). Recall of family factors in social phobia and panic disorder: comparison of mother and offspring reports. Depress Anxiety, 5(1), 7-11. Schneier, F. R., Leibowitz, M. R., Beidel, D. C., J., Fyer A., George, M. S., Heimberg, R. G., . . . Versiani, M. (1996). Social Phobia. In T. A. Widiger, A. J. Frances, H. A. Pincus, R. Ross, M. B. First & W. W. Davis (Eds. ), DSM-IV sourcebook (Vol. 2, pp. 507-548). Washington, D.C.: American Psychiatric Association. Shear, M. K., Brown, T. A., Barlow, D. H., Money, R., Sholomskas, D. E., Woods, S. W., . . . Papp, L. A. (1997). Multicenter collaborative panic disorder severity scale. American Journal of Psychiatry, 154(11), 1571-1575. Suárez, L, Bennett, S., Goldstein, C., & Barlow, D.H. (2009). Understanding anxiety disorders from a "triple vulnerabilities" framework. In M.M. Antony & M.B. Stein (Eds. ), Oxford Handbook of anxiety and related disorders (pp. 153-172). New York, NY: Oxford University Press. Wells, A. (2002). GAD, metacognition, and mindfulness: An information processing analysis. Clinical Psychology Science and Practice, 9, 95-100. 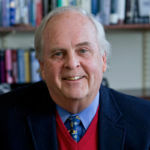 David H. Barlow is Professor and Founder and Director Emeritus of the Center for Anxiety and Related Disorders at Boston University. He has published over 500 articles and chapters and over 60 books and his research has been continuously funded by the National Institutes of Health for 40 years. 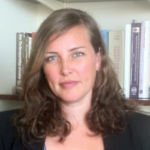 Kristen Ellard is a Postdoctoral Fellow in Psychology at the Massachusetts General Hospital/Harvard Medical School, and completed her doctoral training at Boston University. Dr. Ellard has received predoctoral and postdoctoral NIMH National Research Service Awards for investigations of neural and behavioral changes following transdiagnostic treatment for anxiety and bipolar disorders. Anxiety and Related Disorders by David H. Barlow and Kristen K. Ellard is licensed under a Creative Commons Attribution-NonCommercial-ShareAlike 4.0 International License. Permissions beyond the scope of this license may be available in our Licensing Agreement.